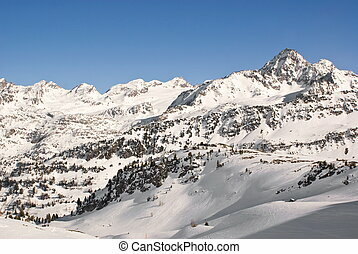 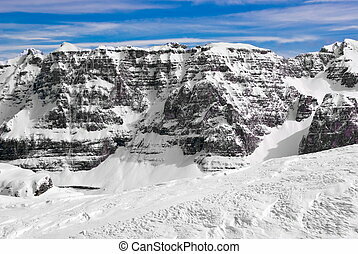 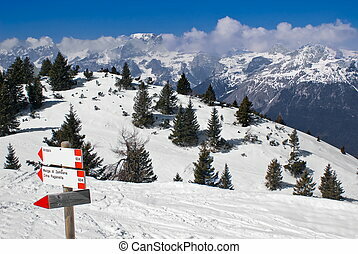 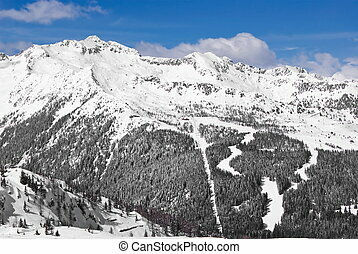 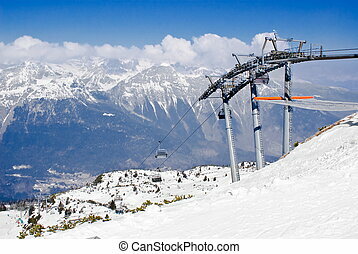 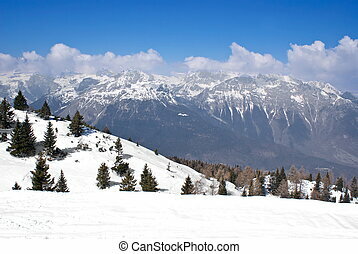 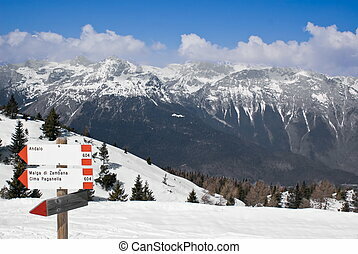 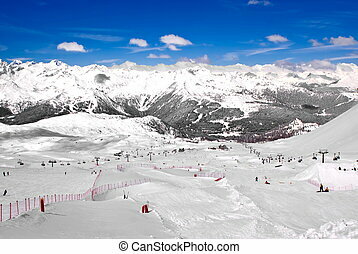 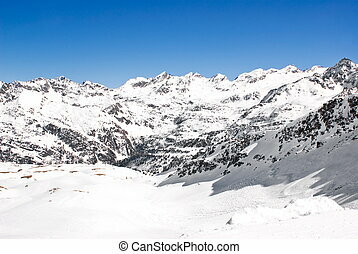 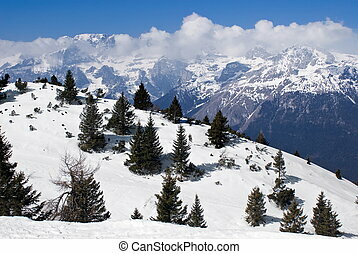 Alpine winter landscape. 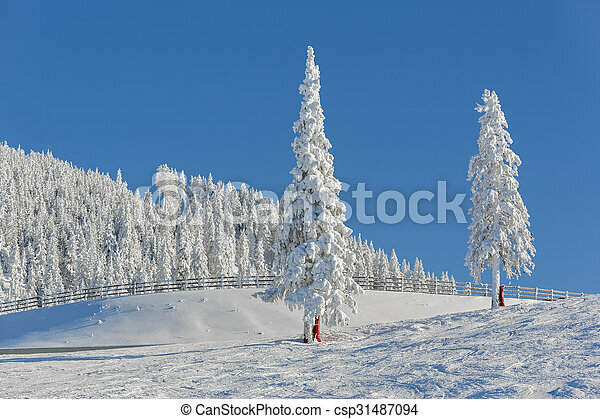 Serene sunny alpine winter landscape with snow covered fir trees and wooden fence on a ski slope in poiana brasov resort, postavaru mountain, romania. 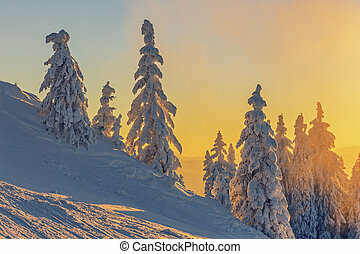 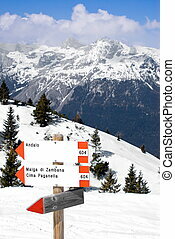 Magnificent alpine winter landscape with fir trees covered by heavy snow at vivid sunset. 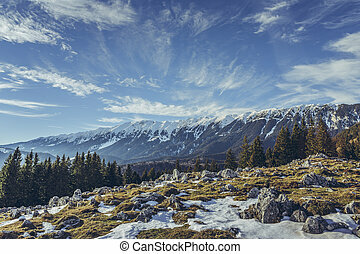 Idyllic alpine winter landscape with Zanoaga meadow, Piatra Craiului mountains, Romania. 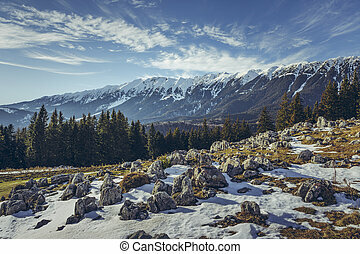 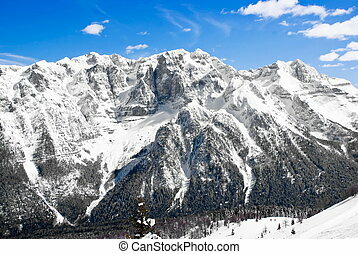 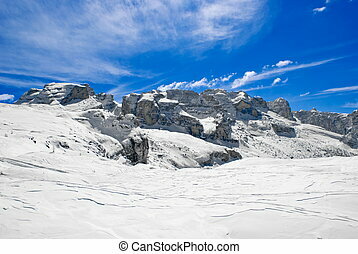 Alpine winter landscape with melting snow up in Zanoaga meadow, Piatra Craiului mountains, Romania. 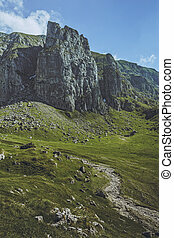 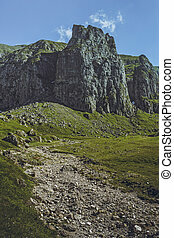 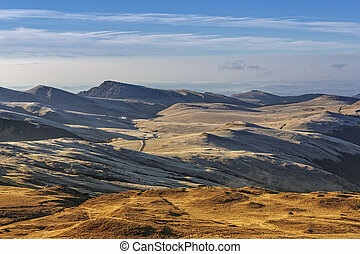 Serene alpine landscape with Bucegi mountain plateau at dawn. 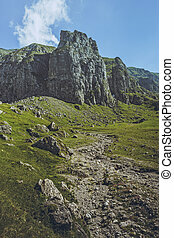 Picturesque mountain landscape with green alpine grasslands, dry riverbed and steep rocky cliffs in the vast Malaiesti Valley in Bucegi mountains, Romania. 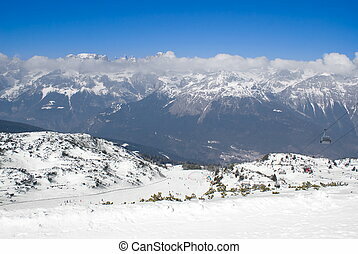 Romanian travel destinations. 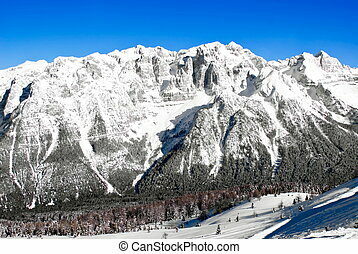 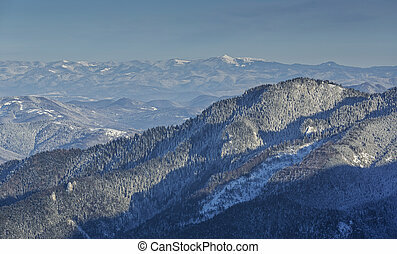 Winter landscape with Carpathians mountains on clear sunny day, Romania. 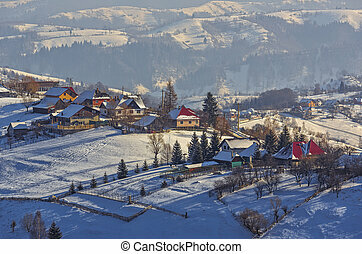 Sunny winter rural landscape uphill in old traditional Magura village, Brasov county, Romania. 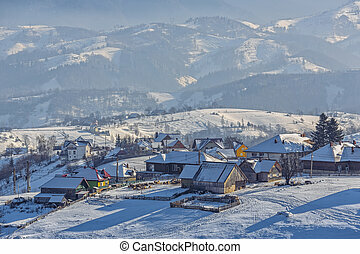 Countryside landscape with traditional Romanian village in the valleys of Bucegi mountains on a sunny cold winter morning in Pestera, Brasov county, Transylvania region, Romania. 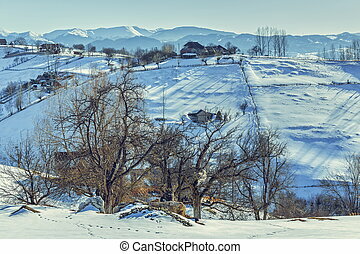 Countryside landscape with traditional Romanian village in the valleys of the Bucegi mountains on a sunny cold winter morning in Pestera, Brasov county, Transylvania region, Romania. 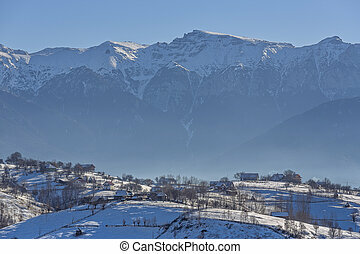 Rural landscape with traditional Romanian village at the base of Bucegi mountains on a sunny cold winter morning in Pestera, Brasov county, Transylvania region, Romania. 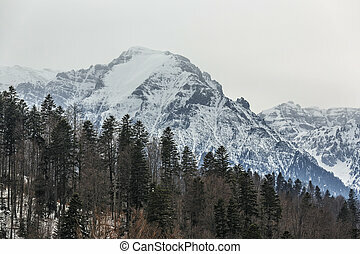 Winter landscape with misty morning over the majestic Bucegi mountains heights covered by snow, Predeal, Romania. 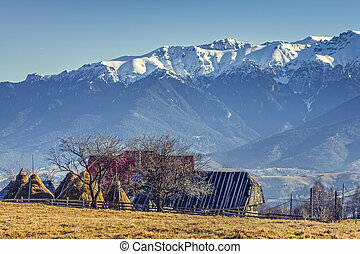 Peaceful rural mountain landscape with traditional Romanian mountainous farm with old wooden barn and haystacks in Moeciu, Brasov county, Trasylvania region, Romania. 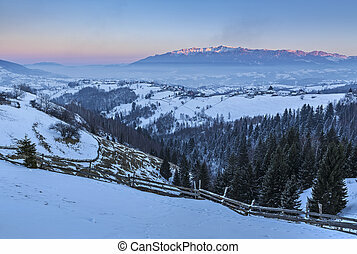 Picturesquet rural landscape with the snowy Rucar-Bran pass in the valley of Bucegi mountains at sunset, Pestera village, Brasov county, Transylvania region, Romania.